“The Crime and Punishment of Marie Girodin and Vere St Leger Goold” a lecture by Kevin Barry – Professor Emeritus at the School of Humanities, NUI Galway on Friday 16 November 2018 at 19:30. Paddington, 1891: Marie Girodin [sometimes written Giraudin], a couturier to London theatre houses, married a young Irishman from Waterford, the Wimbledon finalist, founder of Fitzwilliam Lawn Tennis Club, Secretary of the Irish Boundary Commission, bon viveur and fantasist, VERE ST LEGER GOOLD. 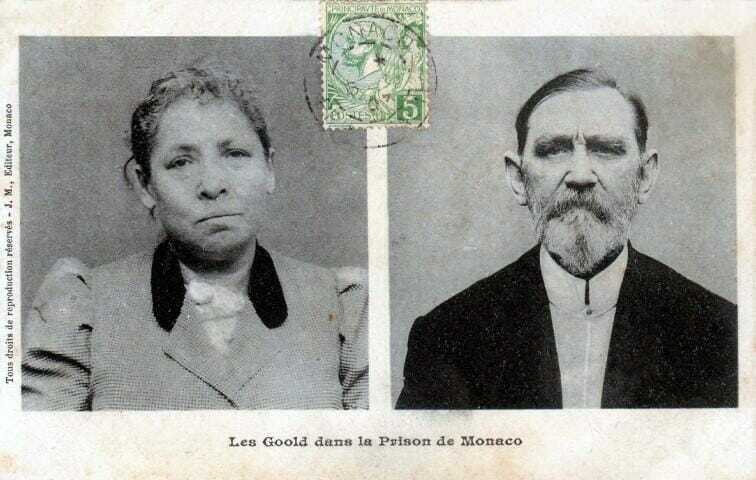 Some sixteen years later, when the courts of Monaco found them guilty of a ghastly murder at their apartment in the Villa Menesini, Avenue des Fleurs (now 15 Avenue de Grande-Bretagne), Monte-Carlo, both would die in prison; she at Montpellier and he in French Guyana. Kevin Barry is Professor Emeritus at the School of Humanities, NUI Galway, and founder member of Irish Research Council for the Humanities and Social Sciences. His publications include Language, Music, and the Sign (Cambridge University Press, 1987), James Joyce: Political, Critical, and Occasional Writings (Oxford University Press, 2000), The Dead: Ireland into Film (Cork University Press, 2001), Traces of Peter Rice (The Lilliput Press, 2012). His current project is a study of what men and women write toward the end of their lives. Reservations (pglib@monaco.mc) are essential due to the limited number of seats. Entry 10 EUR per person payable at the door. The doors will close at 19:30 sharp.